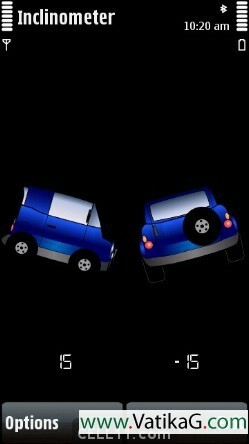 Description : The basic functionality of this simple application is to show your vehicle angles while off roading using the Device accelerometer. Just Fix your mobile phone in a secure cradle and then launch the app!.To keep the backlight on, select Light on from options menu, as well as there is a reset option, which with you can reset the angle values to zero level. 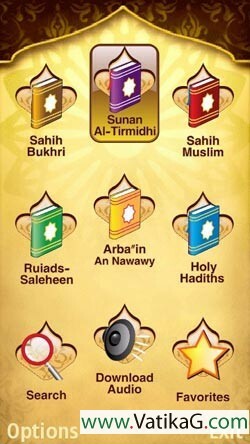 Description : Gain, read & listen to the Honorable Hadiths of The Prophet Muhammad "PBUH" through a wide selection of famous Hadith books: "Sahih al Bukhari, Sahih Muslim, Riyad us Saliheen, Holy Hadiths, Arba in An Nawawi and Sunan Tirmizi" with narration. Share them via SMS. Search for a word or a part of word easily. Description : Google Calendar Client by toivo:* login with google account* displays you list of all calendars available* loads and displays list of events for current day* ability to enter new tasks to current calendar* save user name and password. 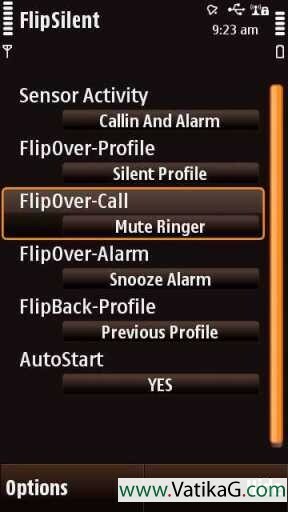 Description : FlipSilent makes you use your nokia phone in a more natural way:When you are in a meeting or dating,and a call is coming in,you can flip over your phone to make it go into the silent profile and hang up the phone call or mute the ringer.without touching anything on the phone,just flip it over,your phone will go into silence!Also,you can flip over your phone into silence when the alarm goes off,by either snooze or stop the alarm. 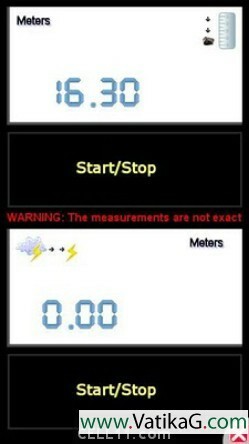 Description : Fallymeter is a Symbian Java based application for touch screen mobiles. This small application is developed by Vesuvian Software.FallyMeter is a free utility app to measure the distance of a storm or the height of a precipice. You can measure the distance of a storm as per following instructions * Press the start/stop button when you see the lightning. * Press the start/stop button when you hear the thunder. * Read the distance on the display. 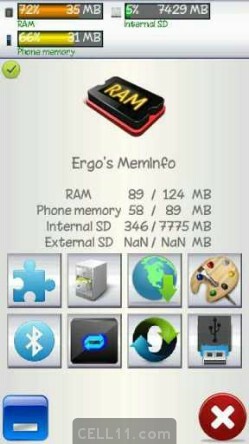 Description : Ergos MemInfo is a widget for Symbian touch screen mobiles, with this app we can find all the information about the memory of our device.Practical application to know at all times, we can set the widget to see on home screen, the status of memory space and RAM, memory, mass storage and memory card.Furthermore, since the application we can access various useful functions such as application manager, file manager, software update, bluetooth and more.